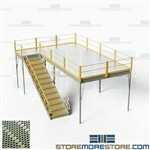 Prefabricated mezzanines are an easy way to add extra floorspace to your facility without costly and time-consuming construction. 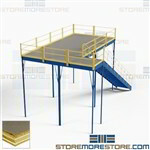 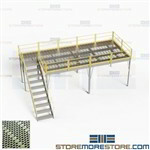 Since the mezzanines come in pre-manufactured kits, it’s easy to set them up for use right away. 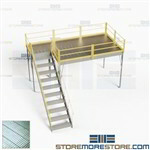 See below for mezzanine kits available in IBC and OSHA compliant designs. 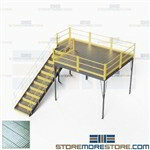 These two-story mezzanines are prefabricated for easy installation and meet International Business Code (IBC) standards for use in public spaces. 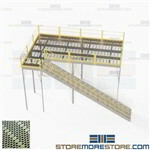 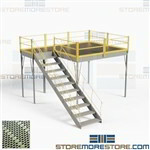 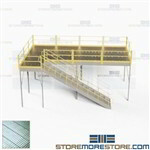 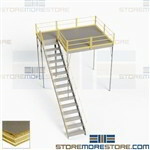 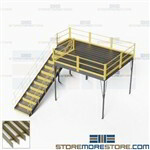 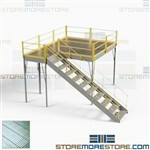 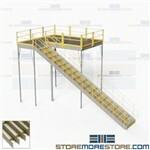 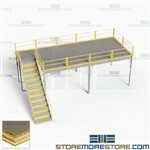 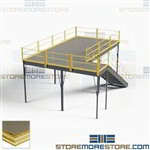 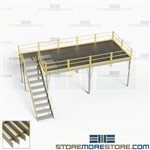 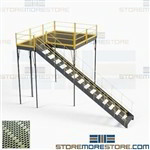 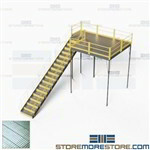 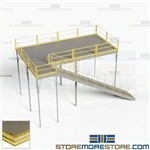 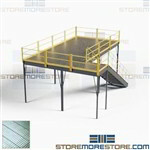 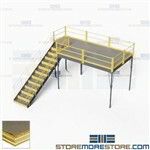 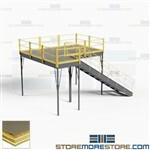 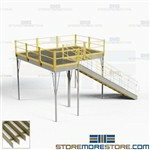 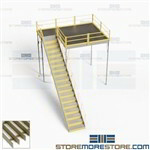 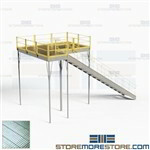 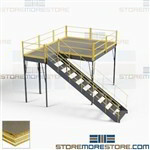 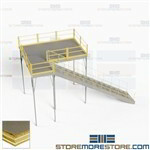 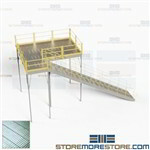 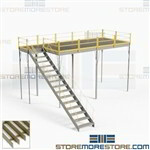 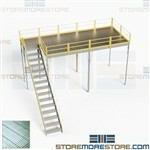 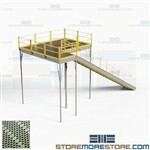 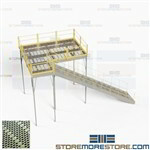 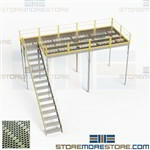 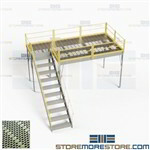 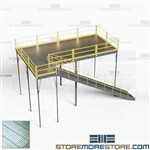 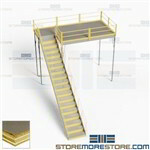 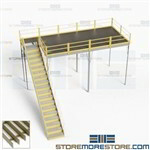 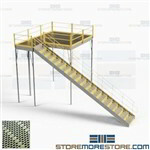 Mezzanine kits include guardrails, stairways, and decking. 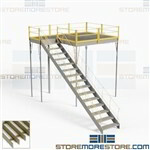 Prefabricated two-story mezzanines are OSHA compliant with guardrails, stairways, and decking included. 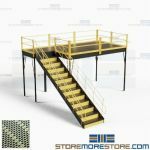 Each mezzanine kit is pre-manufactured and installs quickly and easily to add extra floorspace to your facility without construction.